Fun Fact(s): I ride a really cool motorbike. I own about 500 books. I’m obsessed with buying kitchen equipment. I’m also the only non-distillery worker who Tom Nichol (Tanqueray master distiller) has ever allowed to make gin… ever. Jack: Though I first saw you at the Tanqueray tasting event at Worship Street, I realise that you and a few others have a much bigger thing going with Fluid Movement, right? – could you tell us a little about that, and how it came about? Tristan: We set up a consultancy company in 2008 and since then have worked on over 20 bar projects around the world. As I understand it, you can distil spirits from almost anything that contains carbohydrates, right? Have you ever experimented with any particularly unusual ingredients – any great successes or failures? You can ferment from pretty much any carbohydrate, distillation comes after that. You name it, and we have probably distilled it, any thing from apple juice and cream, wax and flint. Suppose I wanted to get started distilling my own spirit (and not kill myself or anyone else in the process) – what would you recommend as a relatively easy thing to start with, and equipment what would I need at the very least? Roughly how much £ would it cost to get started and how long would production take before I was ready to go? Of the many spirits you must have tried in your career so far, what’s your favourite? Too many to mention, but I have often found that the best experiences come from the company and the setting, as much as the spirit itself. And which spirit do you feel is the most versatile? Gin would have to be up there, it lays claim to more classic cocktail recipes than any other and remains a favourite flavour of many people. What’s your most ‘unfavourite’ spirit, and what don’t you like about it? I don’t have one really, but I do struggle to enjoy overly sweetened liqueurs. You guys distil onsite at Worship Street, right? – you’ve got what looks like a lab in there – So, when and how did you, personally, get into spirit production? How does one become a spirit expert? How did you get started with this stuff? Our lab is just for making small quantities of infused distillates and hydrosols, we are not ‘making spirits’ any more than your ‘make’ the tea leaves that go in to your cup of tea. The expertise comes with practice, 70% of what we make doesn’t make it to the guest – there’s a lot of trial and error. What’s one lesser known drink that you think the Great British public should get to know a little better? Shake and strain in to a coupe glass and furnish with a twist of lemon. Your book, The Curious Bartender, seems to have been selling very well recently (congratulations!). Could you tell us a little about it, and what the process of putting it together was like? I think I remember you saying you’d planned to start another. It’s designed to be an all encompassing bar manual that includes the stories and recipes of classic drinks, along with super-modern twists. For this reason I hope that it’s a good buy for an amateur or someone already well-versed in making cocktails. I’m currently working on my next two books, The Curious Bartender’s Whisky Odyssey, and a big book about coffee. What’s a ‘day in your life’ like? Could you give us an insight into your world? A bit of reading, a bit of tasting, a bit of writing, a bit of making, bit of talking (meetings) and a bit walking. If you could go back to the beginning and start over, what would you change or do differently? From a development sense, nothing. From a business sense, I would have been a little more cautious about who I worked with at the beginning. If money were no obstacle whatsoever, what would you do your various ventures and overall career? I would probably create some kind of bar school complete with top notch equipment and employ all the best bartenders I know to operate it. Did you ever have a point where you knew it was working, or that you’d ‘made it’? Do you remember that point? I think after we opened Purl it became clear that we had done something right. Who’s the person who’s most inspired you in your work – food industry or otherwise. Is there anyone that you draw inspiration or strength from? Do you have any specific influences? Most enjoy being creative and managing my own time. Least enjoy… nothing really. Tonight we buy Tanqueray off of Idris Elba. What’s your favourite regional cuisine? Tough one. I’m town between Andalusian and Tuscan. Also love Mexican food (in Mexico) and Korean… and Japanese. When I first saw you in action, you were working with Tanqueray – they’d even given you access to some of the highly secretive, very old family recipes. How did this partnership (if that’s what it is? ), come about? I’ve been doing things with Tanqueray for around 7 years now. I am good friends with Tom Nichol, the master distiller, and it’s just a natural relationship I think. What advice would you give to aspiring food entrepreneurs who’d want the kind of results that you’ve had? It’s so cliched, but I would say aim high and believe in what you do. Where next for you, your career and Fluid Movement? More bars, more writing, more travelling. If you were forced to turn the Worship Street Whistling Stop into a military contractor that supplied weapons and munitions to the forces, what would your speciality product be, what else would you manufacture, and what would you call the place? 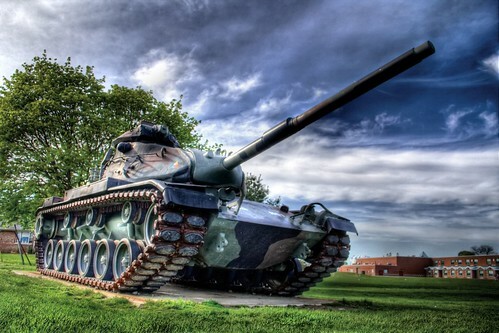 If the army gave you a fully functioning tank, with all ongoing fuel and ammo expenses paid up for perpetuity, what would you do with it? I’d patrol areas of Africa that are home to endangered species. Dare we say… ‘tank-eray’ ?